Twenty years ago, very few Italians had heard of Halloween; today this holiday is widely known and celebrated (more commonly with costume parties than with trick-or-treating) across Italy, as shop windows are festooned with spooky decorations and restaurants and clubs offer themed dinners and events in the weeks leading up to the 31st. Unfortunately, this overwhelmingly commercialized American import is beginning to overshadow two traditional and deeply-rooted Italian holidays which fall at the same time: La Festa di Ognissanti (All Saints Day) on November 1st and Il Giorno dei Morti (All Souls Day) on November 2nd. Rather than the imported Halloween, celebrate the traditional Santi and Morti holidays in Italy this weekend. Click to tweet. Rome: The most obvious place to head on All Saints Day in Rome is the Vatican, of course. The museums are closed on this national holiday, but the Saint Peter’s Basilica is open for both visitors and worshippers (when the Pope is in town, he will sometimes address the faithful in Piazza San Pietro). 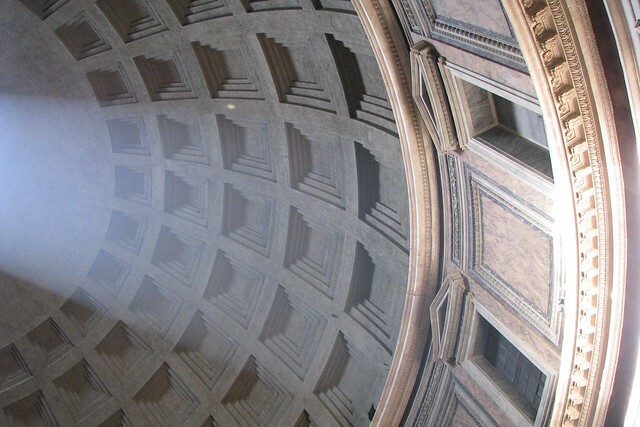 A fantastic alternative to Saint Peter’s (likely packed with visitors on this holiday) is Rome’s Pantheon. The city’s best-preserved ancient Roman building was originally a pagan temple, but in 609 A.D. was converted by Pope Bonifacio IV into a Basilica dedicated to Saint Mary and the Martyrs...another way of saying “All Saints”. Umbria: This modest-yet-breathtaking region in central Italy is often dubbed “land of the saints”. Despite its relatively small size and humble agrarian history, Umbria churned out an extraordinary number of saints during the Middle Ages, including Saint Francis (Patron Saint of Italy), Saint Benedict (Founder of the Benedictine Order), Saint Claire (Founder of the Poor Clares), Saint Rita, Saint Bernardino, and Saint Valentine (Patron Saint of love and, strangely, epilepsy). Most of these Saints’ remains are interred in crypts or, more often, kept on display in churches built in their honor where they can be visited by worshippers. 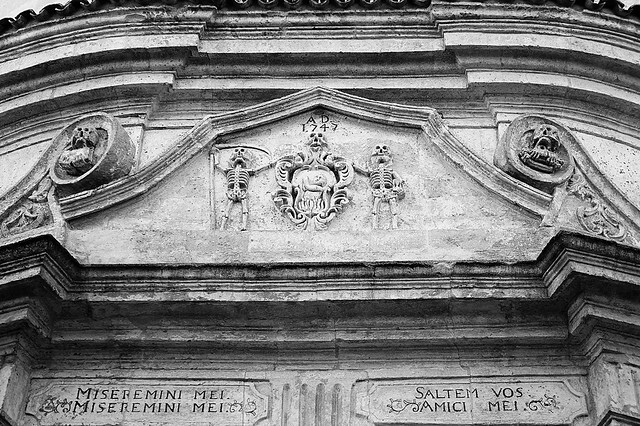 Indeed, almost all Umbrian towns boast a lesser-known, home-grown saint and church housing their relics or remains, so regardless of where you find yourself in Umbria on November 1st, you’re sure to have a saint close by. 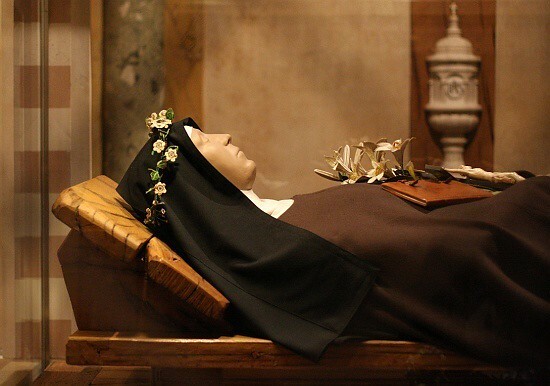 The Saint Catherine Itinerary: Saint Catherine of Siena is one of the most beloved of Catholic saints, revered for her piety, selflessness, and vast collection of writings (her letters are considered important works of early Tuscan literature). To visit her remains, however, requires several hundred kilometers of travel. After her death in 1380 in Rome, Catherine’s body was buried in the cemetary of the Basilica of Santa Maria Sopra Minerva (near the Pantheon) and shortly afterwards moved inside the Basilica itself, where her sarcophagus remains on display beneath the High Altar to this day. During this move, however, her head and thumb were separated from her body and taken to Siena, Catherine’s birthplace, where they are still entombed in the city’s Basilica of San Domenico. Though this story suggests that Saint Catherine should be the patron of lost luggage, she is, instead, protectress of nurses and firefighters. Celebrate All Saints Day in Umbria, home of so many holy personages that it’s known as “land of the saints”. Click to tweet. Though Italy’s Day of the Dead isn’t a national holiday, in many ways this popular festival is more deeply felt than All Saints Day, having roots in folk tradition reaching further back than Christianity. In 998 D.C., the Abbot Odilone of Cluny established All Souls Day following All Saints, as it was believed that the dead could come into contact with the living on that day—a belief still held in many parts of Italy--and the protective power of the Saints could limit any other-worldly shenanigans. That said, folk and pagan tradition had long honored the dead in this period of the year, as autumn was considered the counterpoint to spring and its symbol of rebirth. 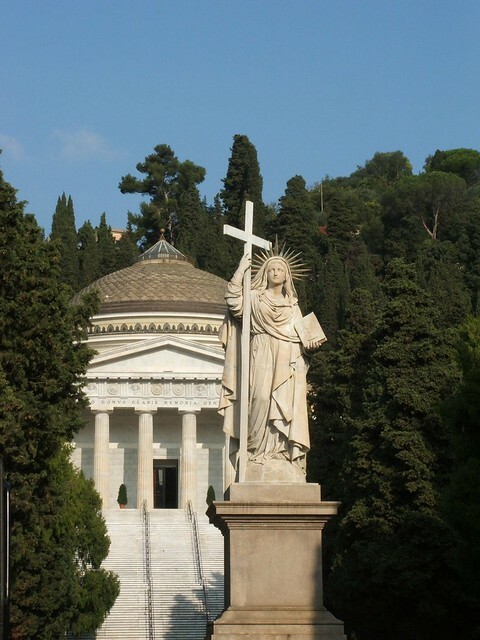 Even today, Italians have a strong connection with their deceased, and many Italians make weekly visits to the local cemetery to honor their departed family members. This culture of remembrance comes to the fore on November 2nd, as cemeteries across Italy are crowded with visitors and many families make more-or-less symbolic welcoming gestures to the dead who are believed to visit their living loved ones on that day. From the regions of the north, where guiding lamps and fires are left lit through the night and a place set at the dinner table, to Sicily in the far south, where the departed leave gifts hidden around the house during the night for good children to find in the morning, the Day of the Dead is when religious and pagan beliefs meld into a celebration of family and tradition. Cemeteries: Though it may seem odd to visit a cemetery while traveling, there are few places in Italy where you can get such an intimate view into this country’s culture and history. Many of Italy’s monumental cemeteries are both beautiful and educational, representing a microcosm of artistic and architectural periods from the early-1800s (when a Napoleonic decree established that the dead could no longer be buried beneath churches) to the present day. One of the best of these is the Cimitero Monumentale di Staglieno outside of Genova, one of the largest and most ornate cemeteries in Europe. If you’d like to honor your own countrymen, Italy is home to a number of American and Commonwealth War Cemeteries—most notably in Nettuno and Florence--still sombre and moving sites to visit and reflect decades after peace was won. 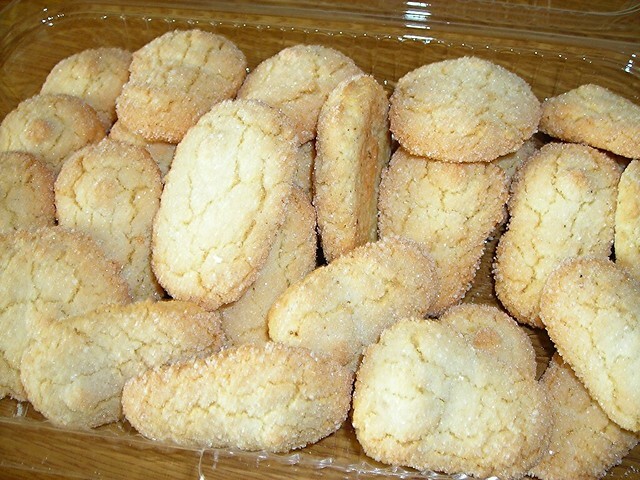 Ossi dei Morti: The name—“bones of the dead”—doesn’t seem particularly appetizing, but these delicious soft cookies (also called stinchi dei morti or fave dei morti, depending upon where you are in Italy) are one of the season’s most loved treats. Their long shape and knobby ends recall a femur (or, in central Italy, the shorter shape resembles more a fava bean), and their light color and dusting of white sugar makes them even more “boney”. Made with the first almonds of the season, harvested in September, they have an intense flavor that offset the sweetness of the sugar and can be found in most pastry shops come late October. 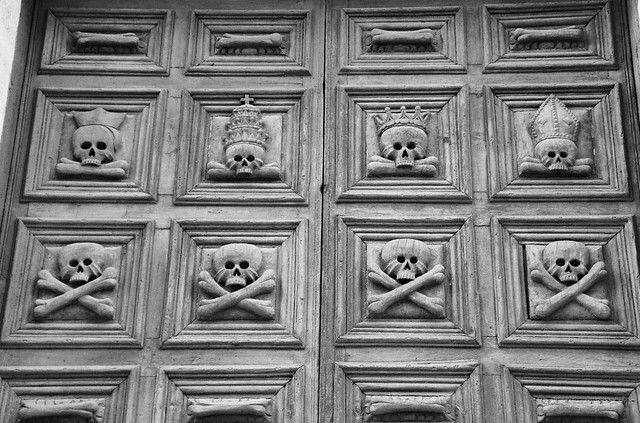 The Foot Bone’s Connected to the...: The Italian peninsula has been continuously inhabited by the living for millenia, and those living have been burying their dead for just about as long. It’s hard to go any depth underground in Italy without coming across the remains of those who have come before sooner or later, and nothing makes this point more memorably than the vast catacombs that wind beneath many Italian cities. Rome has at least forty different catacombs, forming kilometers of tunnels hosting the dead under the modern metropolis. The Sicilian cities of Syracuse and Palermo also sit atop visitable catacombs (many of the remains in the Palermo Catacombe dei Cappucini are mummified), as does bustling Naples. Slightly spooky, but also moving, these sites are an excellent way to honor both the dead and the living tradition of All Souls. Don’t let Italy’s Day of the Dead pass you by without feasting on traditional ossi dei morti cookies. Click to tweet.